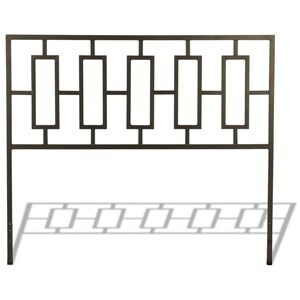 Make your bedroom complete with this wonderful metal headboard. The piece carries a mahogany gold finish and features geometric design. Plus, ornaments punctuate the straight-line slats of the grill. You'll be able to blend your bed into any decor with this headboard. 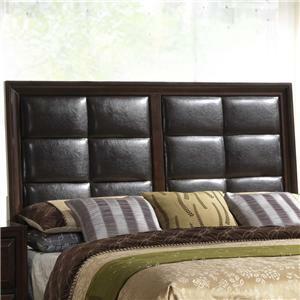 This headboard is available in twin, full, queen, king, and California king sizes. 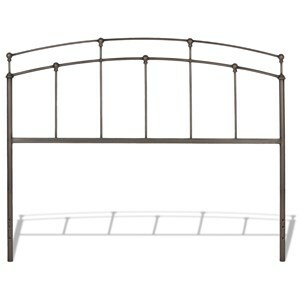 The Metal Beds King Winslow Headboard by Fashion Bed Group at Colder's Furniture and Appliance in the Milwaukee, West Allis, Oak Creek, Delafield, Grafton, and Waukesha, WI area. Product availability may vary. Contact us for the most current availability on this product.